Materials: White plastic tube. Metal goose-neck. 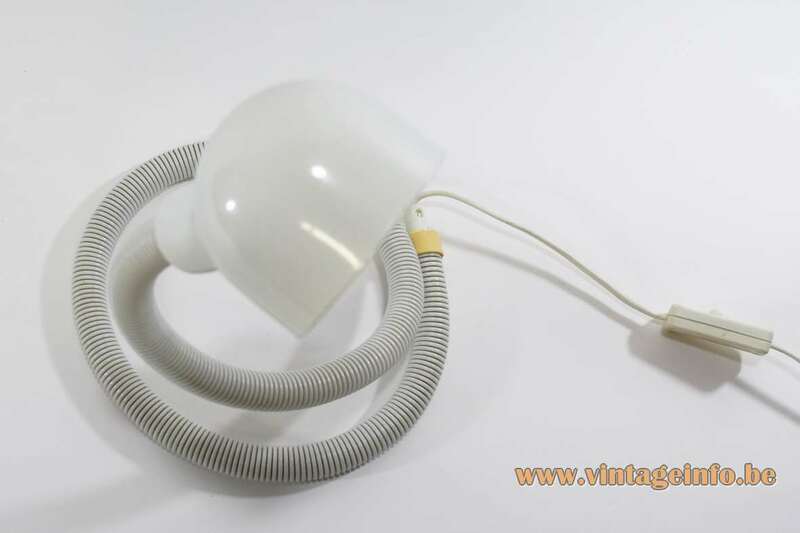 White painted aluminium lampshade, also white painted inside. Bakelite socket. Designer: Isao Hosoe in 1969. Manufacturer: Happylight International B.V., The Netherlands. 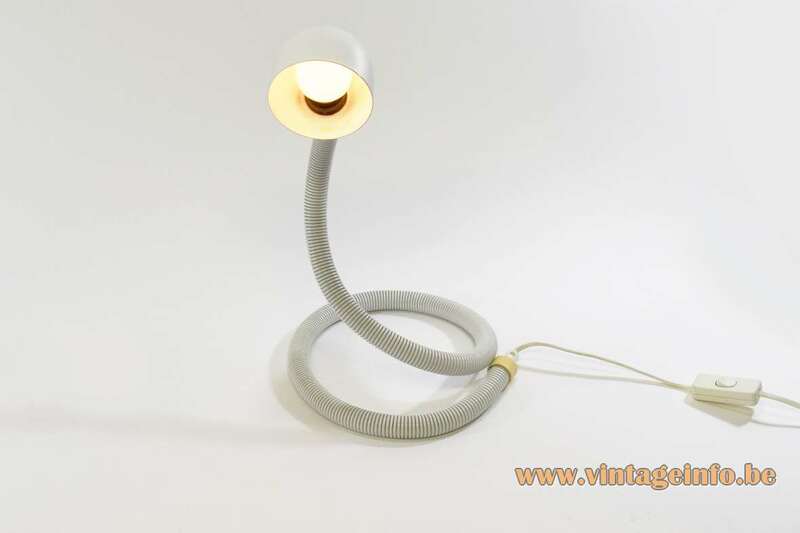 This table lamp is a copy of the original snake lamp designed by Isao Hosoe. 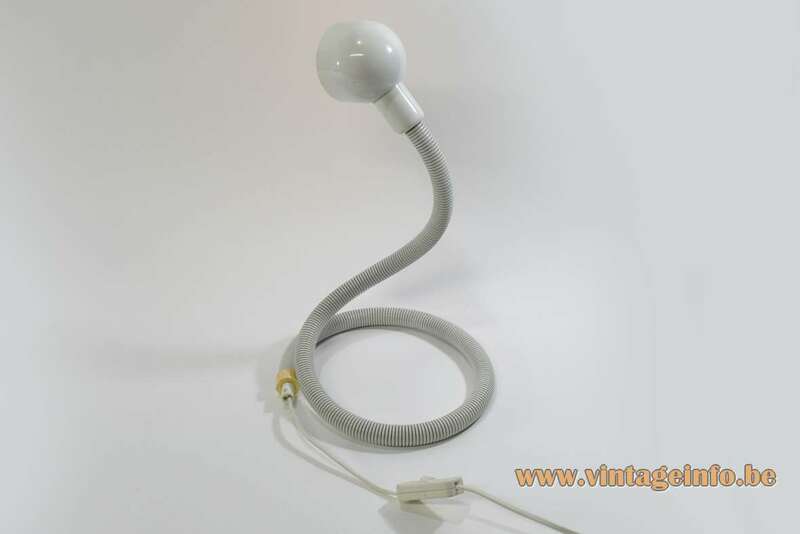 The complete story how this lamp was invented and made can be found here on Vintageinfo. Find out if you have a real one or a fake. 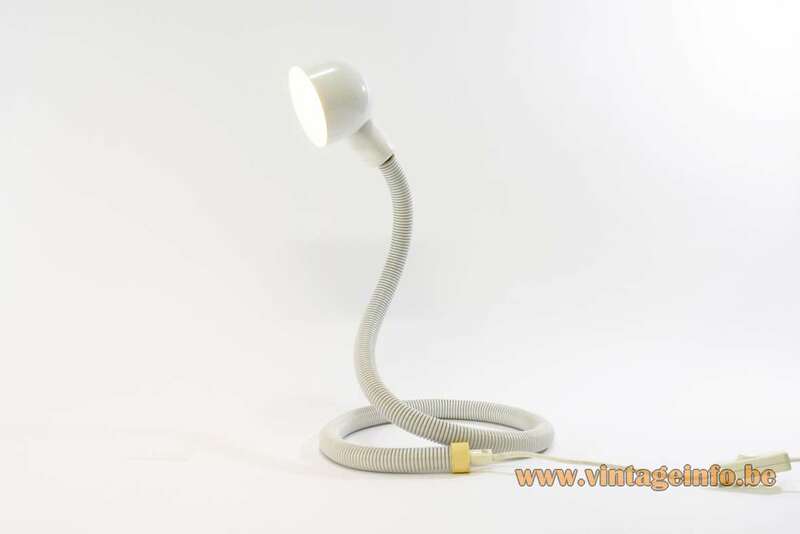 Happylight International B.V. produced lamps for specialized shops, department stores and DIY (do it yourself) stores. The managing director was Ben Beljaars (1995 – 2000). He was during the period 1989 – 1995 the financial controller and financial director. Happylight were two companies. 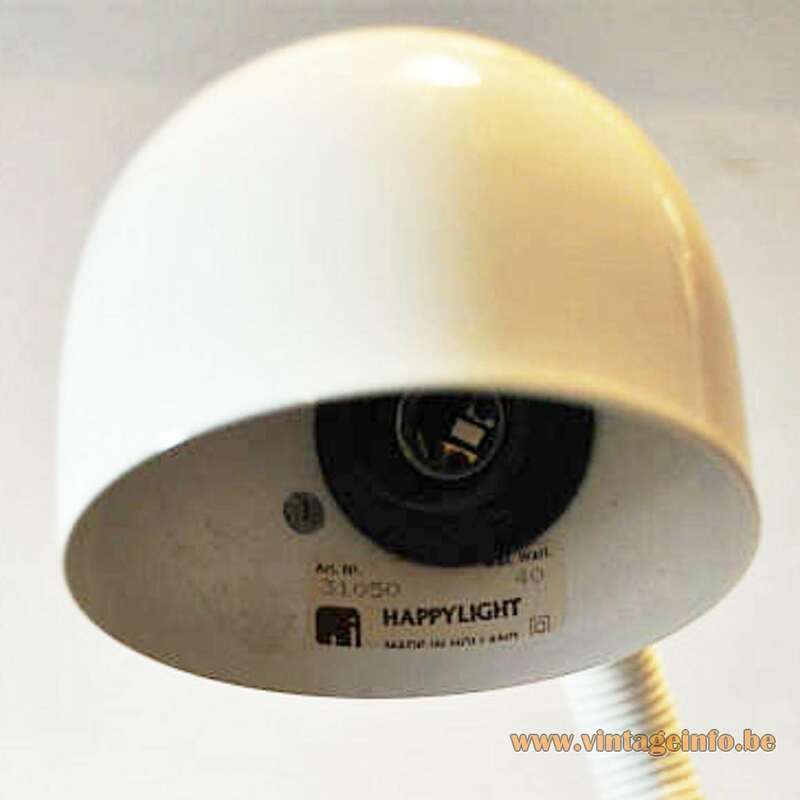 Happylight International B.V. and Happylight Beheer B.V.. They ended business around 2003. How it is possible that Happylight made lamps like this is a riddle. Maybe they produced this lamp under licence or it was an “illegal” copy. 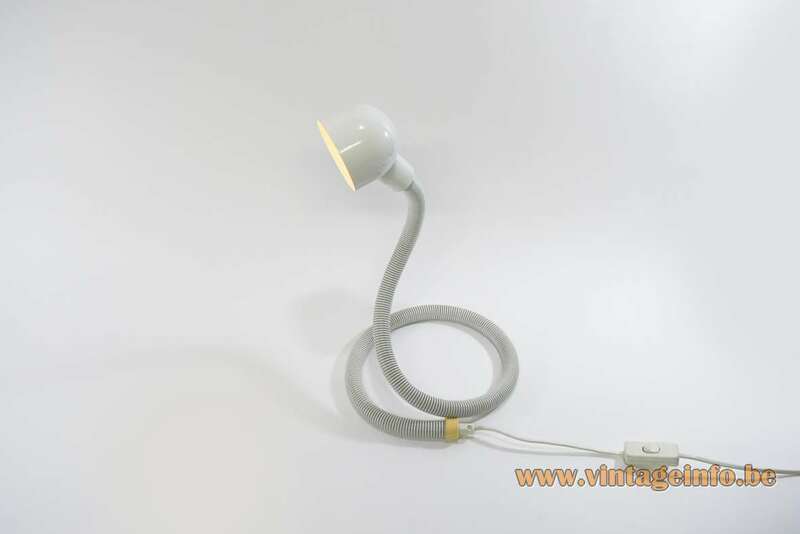 In all probability these lamps were also sold in the early 1990s. 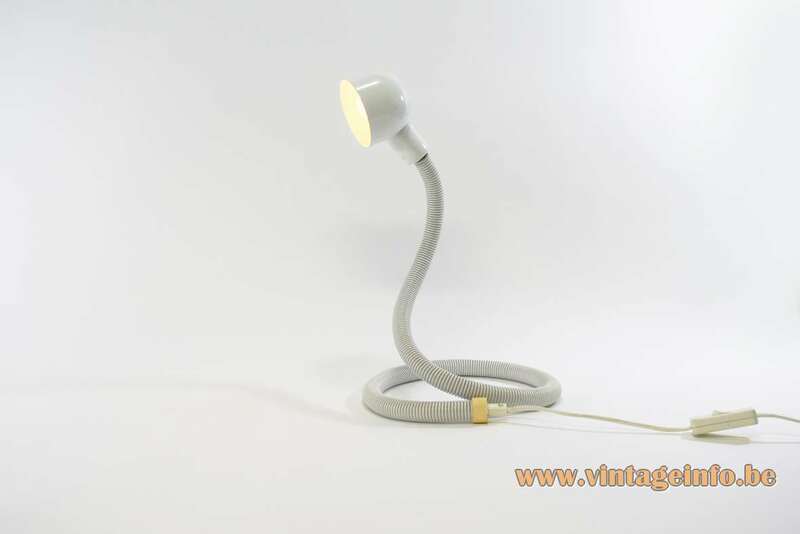 Also the Dutch company d-L Lampen Holland sold this lamp in the 1980s. In all probability many other companies did. 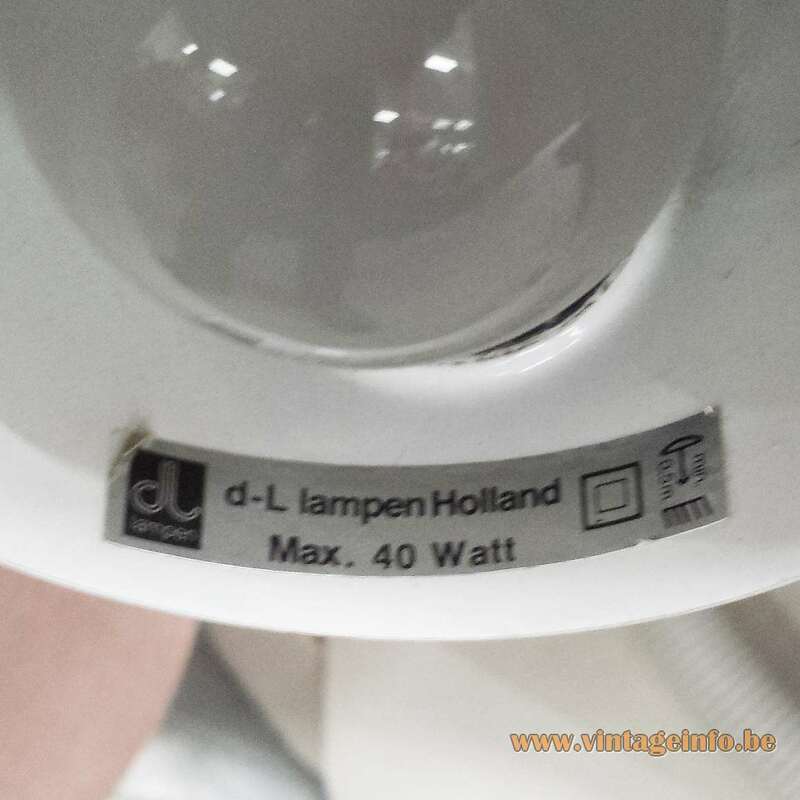 d-L Lampen Holland was active in the 1970s and 1980s. They sold many lamps produced by Massive from Belgium.